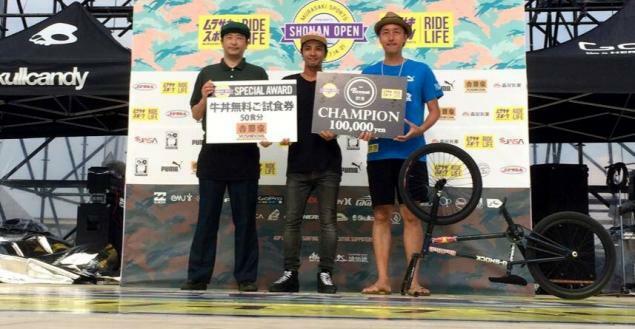 The Shonan Open contest took place on July 20th in Kanagawa, Japan. 8 riders all of whom have their own style were invited and battled for the victory: Akira Okamura(! ), Yoshiki Hotoke Uchino, Kotaro Tanaka, Tsutomu Kitayama, Hiroya Morizaki, Shinichi Russia Kiba, Yohei Uchino and York Uno. Yohei Uchino won the final battle against Tsutomu. He also won this contest last year, congratulations on the second victory in a row.